Scintillatingly sculpted by the Chartered Institute of Patent Attorneys (CIPA), the PCC Pages seek to explain how litigation works in the recently-revamped Patents County Court (PCC) for England and Wales, taking as its theme a dispute between Cautious Co and IPOff Ltd as to whether IPOff has infringed the IP rights of Cautious in its robotic octopus. In this episode, the 28th, CIPA President Alasdair Poore throws off his jetlag and takes a further voyage into the ever-fascinating area of costs. "Inspired by last week's note on costs, Cautious’ patent attorney is exploring further. 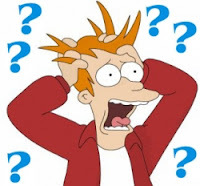 First, can he get around all this difficult assessment business, and providing detailed records – and incidentally make forecasting costs for his client easier – by just agreeing to charge the maximum in each category when he carries out work for his client? Judge Birss made it clear (para 18) that in future, even where it was pretty simple, he would expect to see the costs breakdowns referred to in Westwood. In this case, it would not however have been proportionate to schedule yet another hearing just for costs, so he would make an assessment. He assessed only £1,000 for the application for default judgment (limit £2,500), on the basis that this was pretty straightforward (para 14). He assessed the maximum for preparation of the statement of case (£6,125) because, although not complex, the case had involved a substantial number, 35, furniture designs; and it appeared clear that significantly greater costs had been incurred (para 15). Judge Birss explained that it was open to the solicitors to charge on a simple scale fee basis (para 12), but that would not necessarily entitle their client to recovery from the other party on the same basis and that any recovery should be supported by an appropriate breakdown of the actual time/costs incurred (para 18). So the scale costs approach may provide an easy yardstick for a client, but may not mean the client gets back all they have spent. “I believe a case such as the present can only be regarded as exceptional if it can be shown that the losing party has abused the process of the Comptroller by commencing or maintaining a case without a genuine belief that there is an issue to be tried. … There are of course a large number of other circumstances such as deliberate delay, unnecessary adjournments etc. where the Comptroller will be entitled to award compensatory costs”. it may still be used. In that case, it still does not open up all the costs in the proceedings; only the costs attributable to the abuse of process will be off-scale". "On May 10, the Federal Circuit issued an en banc order in TiVo Inc. v. EchoStar Corp. denying the companies' joint motion to dismiss the appeal, which had led to a divided en banc ruling on April 20. The court noted that the parties did not inform it of any settlement before it issued that decision. In that April ruling, the Federal Circuit vacated a $110 million award against EchoStar Corp. for continued infringement of TiVo Inc.'s patents after a permanent injunction, but affirmed a $90 million award against EchoStar as a sanction for its contempt finding. On April 29, the companies reached a settlement whereby EchoStar and the Dish Network Corp [an EchoStar subsidiary] agreed to make an initial payment of $300 million to Tivo and $200 million in six annual installments between 2012 and 2017. 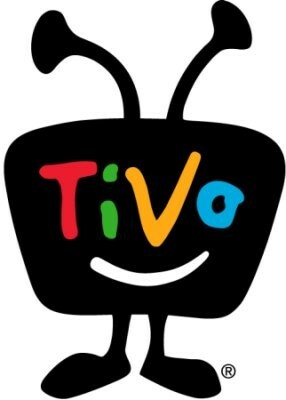 ... TiVo will also give Dish and EchoStar licenses for the DVR technology, and EchoStar will give TiVo a license for certain DVR-related patents. 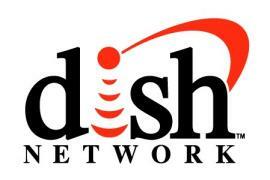 The companies also agreed to dismiss all pending litigation with prejudice and to dissolve all injunctions against Dish and EchoStar. The seven years of litigation between the two companies was initially about whether EchoStar infringed TiVo's digital video recorder technology patent. It later centered on whether EchoStar's redesign of its technology still infringed and whether EchoStar's actions amounted to contempt of the district court's permanent injunction order. In the May 10 order, Judge Alan Lourie wrote that the parties clearly "did not settle before our decision." He was joined by Chief Judge Randall Rader, Senior Judge Haldane Robert Mayer and nine judges: William Bryson, Timothy Dyk, Arthur Gajarsa, Richard Linn, Kimberly Moore, Pauline Newman, Kathleen O'Malley, Sharon Prost and Jimmie Reyna. According to Lourie, the companies informed the Federal Circuit on May 2 that they had settled the case on April 29 and asked the court to dismiss the appeal. "The parties did not inform us that they had settled the matter before issuance of our decision nor do they inform us that they had agreed to a disposition of the matter dependent upon our decision," wrote Lourie. "It is clear that if the parties had entered into such an agreement before issuance of our decision, it was counsel's duty to inform this court of the agreement." If the court granted the parties' motion at this stage, days before issuance of a mandate, the result would be modification or vacatur of the en banc judgment "which is neither required nor a proper use of the judicial system," wrote Lourie. He also cited 7th, 9th and 11th Circuit rulings supporting that conclusion. In its April 20 ruling, the Federal Circuit affirmed Folsom's $90 million sanction award against EchoStar. Folsom had found EchoStar in contempt of the disablement provision of the permanent injunction, which required it to disable the infringing DVR technology in its products, including those that were with customers. That ruling also vacated Folsom's finding that EchoStar was in contempt of the permanent injunction's infringement provision, which ordered it to stop making, using or selling infringing receivers. Another order in the ruling vacated Folsom's $110 million award against EchoStar Corp. for continuing to infringe TiVo Inc.'s patents after a permanent injunction". How do other jurisdictions handle these issues? Cautious & Co are still fully engaged with their patent and design right infringement proceedings in the Patents County Court. Their patent attorney is enjoying a break in San Francisco. It is raining just like England – well, wetter actually. In a damp moment, reflecting on IPOff’s director’s break at Christmas snorkeling in the sun, Cautious’s patent attorney has news of two more bricks in building a solid understanding of PCC procedures: publication of the PCC Guide; and a judgment on assessment of costs. Boring stuff? Perhaps, but stuff which means that patent attorneys can be more confident in advising clients to use the PCC. 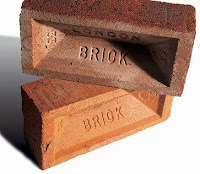 Brick 1: The PCC Guide is available here via PatLit and CIPA. It will be published on the Court’s website soon -- but just how long it will take to get there is not yet clear. Brick 2: Costs: In Dame Vivienne Westwood v Anthony Edward Knight ( EWPCC 11), Judge Birss QC has assessed costs. His judgment explains in detail the process for assessment, including assessment of individual elements and how the maximum limits will be applied. In this case there was no set off – all the costs were to be awarded in favour of Dame Vivienne Westwood. · The costs awarded will depend on the nature and complexity of the case (CPR 45.42(4)) (para 24), and in simple cases there is no reason to suppose that the costs need reach the stage limit. In this case, with several trade marks, passing off and copyright infringement, the claim was quite complex (para 37). · The “Defence and Counterclaim” stage can include (depending on the facts) the claimant considering the defence (para 33). · The Court will then add the costs for all stages. (Note that one “stage” may occur more than once. For example there were three applications in addition to the case management conference in this case.) If the total exceed the maximum it is limited to the maximum. In this case, part of the costs were incurred in the High Court. These were (summarily) assessed on a High Court basis. Also VAT was due on most but not all of the amount (and VAT falls outside the limit on costs). The approach taken was to apply VAT to the assessed amount after deducting any amount not subject to VAT, although the option was left to apply a different approach in other cases. Finally interest was applied by choosing some date, probably where about half the costs have been incurred, and applying interest to all the amount due from that date. The judgment also illustrates some of the reasoning and is a useful guide to carrying out an assessment. The keenly-awaited Guide to the Patents County Court, which will help litigants make the most of their opportunity to litigate before England and Wales's revamped bargain basement litigation forum, has now been approved by the Chancellor and carries an updated list of web addresses and court fees. The Guide has not yet been posted on the Patents County Court's web page, but the Chartered Institute of Patent Attorneys has kindly hosted the full text here. The document is a 26-side pdf. It is -- considering its content -- pleasantly readable and contains lots of useful things like telephone numbers and details of pro bono support. "46. The practical application of the costs capping system in the Patents County Court was always going to raise issues to be addressed. Having now conducted an assessment under the scheme, none of the issues raised so far are particularly problematic. The costs capping system works and I am sure it can be readily applied to all the intellectual property disputes in the Patents County Court". 1. Is there any Patents County Court or Patents Court Rule which specifically provides for a situation such as this? No. The intention is that the Act will be amended so that one set of proceedings can be brought in either the PC (or possibly the PCC) for simultaneous transfer applications). 2. Are all proceedings which are commenced on the same day regarded as being commenced simultaneously, or would the fact that the Patents County Court proceedings were commenced first be significant? I have discussed this with others. There is a principle that parts of a day are not divided legally. however, I think if one party knows that the other has issued proceedings when it issues proceedings, then the Court is likely to be less sympathetic. 3. Would it make any difference if the defendant had instituted proceedings for a declaration of non-infringement and/or revocation before the patent owner commenced his proceedings? It seems to me that the court first seised is likely to have a slightly greater pull than the other one. I think that when the act is amended this will likely become irrelevant. At present the principle is that if all things are equal then don't move the case. The court will never find that all things are equal, but that is not necessarily much help to a litigant considering what should happen. 4. Would it make any difference if the defendant had knowledge of the proceedings commenced by the patent owner in the Patents County Court when commencing proceedings in the Patents Court? See above. 5. What would be the patent owner's best and/or most economic strategy for seeking to keep all proceedings before the Patents County Court? Invite the other party to agree to a transfer and have a consent order made. If the other party will not agree then one of your correspondents (to the PCC page talking about transfer) has suggested that a written application can be made. The suggestion was apparently from counsel and worked. If this does not work then an application to the Court will be required. How easy this is depends strongly on how good is the case for the proceedings being in the PCC". "Both courts can make directions of their own motion so, for someone in this position, it seems to me that the best thing might be to write to Judge Colin Birss (PCC) and David Kitchin (as the judge in charge of the Patents Court list) informing them of the parallel proceedings and asking whether either court is minded to make any transfer orders of its own volition, in particular if the courts consider it appropriate that arguments for transfer should take place in the PCC. There is going to be an argument here at some point about consolidating proceedings and which court should hear the case. David has power to order transfer of the case from the PCC to the PC, but Colin does not have power to order transfer from the PC to the PCC. David might take the view that Colin can make the decision whether he will hear the case and order transfer from the PC expressly on the basis of liberty to apply to the PCC judge to transfer the case back together with the case already in the PCC. That will enable Colin to make a decision after due consideration of both cases if he believes it better that both cases are heard in the PC. Alternatively David will have to make the decision for both cases". Following a short break for the Easter holiday, the PatLit PCC Series is back in full swing. Delicately directed by by the Chartered Institute of Patent Attorneys (CIPA), this series seeks to explain how litigation works in the recently-revamped Patents County Court (PCC) for England and Wales, taking as its theme a dispute between Cautious Co and IPOff Ltd as to whether IPOff has infringed the IP rights of Cautious in its robotic octopus. In this episode, the 26th, CIPA President Alasdair Poore considers the legal and tactical dimensions of making an offer, and how an offer to settle which is made by a claimant differs from one made by the defendant. Readers may recollect that Cautious Co has brought proceedings against IPOff. IPOff makes the Robot Octopus football results predictor. Cautious has a patent relating to the predictor. The patent is challenged on the grounds that it is obvious, it doesn't work and is anyway a computer program or business method (infringement is denied too). The second claim is in relation to unregistered design right infringement in respect of octopus-shaped toys. · IPOff agrees that the unregistered design rights are valid and infringed, and undertakes not in the future to infringe them and to pay damages to be assessed;· Cautious agrees that its patent is invalid and not infringed. As it is a Part 36 offer there is no specific provision in relation to costs as these are determined in accordance with Part 36. Of course IPOff sees that they can change the design easily. If it can circumvent any patent claims, it can get back into the market. Currently just the existence of the claim is making marketing difficult. Since Cautious made its offer, there has been a useful case, AB v CD ( EWHC 602 (Ch)). This is discussed below. First, the effect of a defendant’s Part 36 Offer is not quite the same as for a claimant’s offer. For the claimant the incentive to settle needs to be greater; since a successful claimant would receive (most of) its costs anyway, a claimant obtaining a judgment at least as advantageous as its offer is entitled to indemnity costs and interest. In contrast the defendant is entitled (Part 36.14(2)) to (a) his costs from the date on which the relevant period expired; and (b) interest on those costs. This is only slightly different from the likely result of an offer “without prejudice save as to costs” or “Calderbank Offer”, so the need to ensure that the offer complies with Part 36 is probably less. AB v CD is coincidentally a trade mark infringement case. It followed the usual procedure of a split trial on liability and damages. Both parties had made alleged Part 36 Offers in the course of the stage up to trial on liability, and the judge was now being asked to review whether they were effective Part 36 Offers. The first difficulty was that the trial judge is not supposed to know that there is a Part 36 Offer in play, and certainly not to see the details – so a different judge had to consider this (and use pseudonyms in reporting it so that the trial judge would not be aware of the entire discussion). Perhaps this is a more acute difficulty in the PCC! AB v CD makes it clear therefore that it is difficult for a claimant to make a tactical offer of settlement, unless there is some genuine concession. Interestingly, the defendant’s offer appeared to be expressed to be open only for 21 days – which in accordance with other cases would prevent it from being a Part 36 offer. Do not forget (particularly as a defendant) that simple “without prejudice save as to costs” offers are still available, and may well have a similar effect. And also that a “without prejudice” offer is not the same. The latter may never be shown to the court other than as evidence of an agreed settlement. "I [in this instance "I" is a microcompany with very limited funds] instituted patent infringement proceedings in the Patents County Court against a much larger company. Later but on the same day as I had instituted proceedings, the defendant instituted proceedings against me in the Patents Court -- which is part of the High Court and a very expensive place to litigate -- seeking a declaration of non-infringement and/or revocation of my patent. I believe that I can apply to the Patents Court to have the defendant's action transferred to the Patents County Court, though I understand that this will take time and consume a proportion of the money available to me to bring the infringement proceedings in the first place". 1. Is there any Patents County Court or Patents Court Rule which specifically provides for a situation such as this? 2. Are all proceedings which are commenced on the same day regarded as being commenced simultaneously, or would the fact that the Patents County Court proceedings were commenced first be significant? 3. Would it make any difference if the defendant had instituted proceedings for a declaration of non-infringement and/or revocation before the patent owner commenced his proceedings? 4. Would it make any difference if the defendant had knowledge of the proceedings commenced by the patent owner in the Patents County Court when commencing proceedings in the Patents Court? 5. What would be the patent owner's best and/or most economic strategy for seeking to keep all proceedings before the Patents County Court? Do please post your comments below or, if you cannot do so for technical or other reasons, please email them to me here with the subject heading "Same-day patent suits".